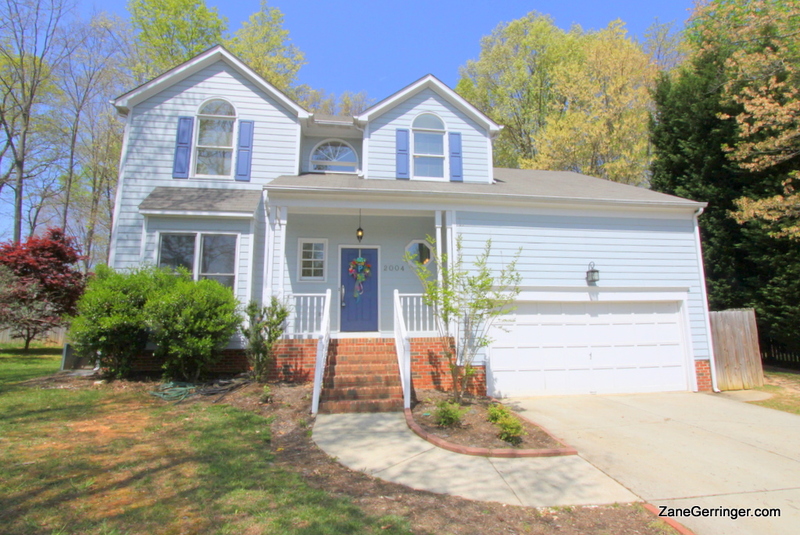 2004 Warwickshire Dr., Greensboro, NC 27455 - $219,900.00 - Best Deal in Lake Jeanette! Convenient to everything, this lovely Lake Jeanette property sits on Warwickshire Drive - accessible from Old Lake Jeanette Rd, Elm / Bass Chapel or Lawndale to get where you want to go. 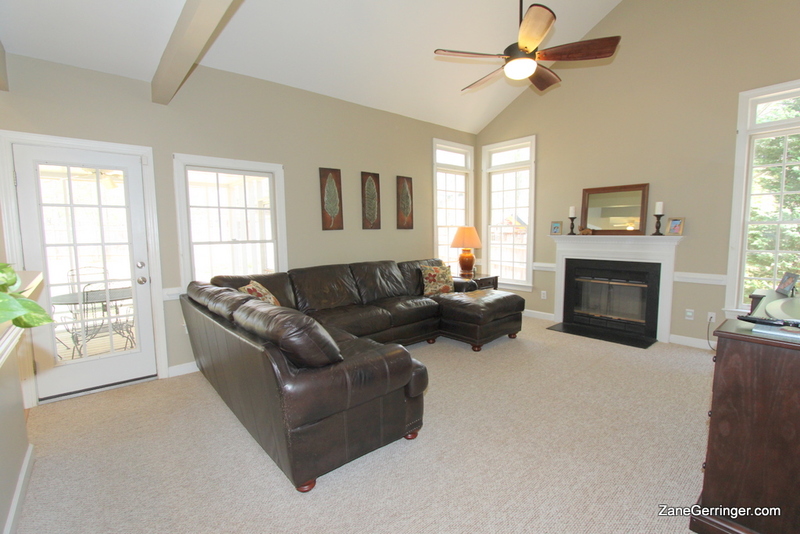 The home has a great floor plan, hardwoods, fresh paint, 3 beds with 4th loft bedroom or office, screened porch, huge, fenced back yard, vaulted ceilings and more. You'll love how the kitchen opens up to the living room and has a nice, little eat in area around the bay window - great open floor plan. Home warranty is transferable, and property has a termite bond as well. Better hurry - at $219,900, this home is priced at approximately $95 per square foot - compare that to the average sales price of similar sized homes in Lake Jeanette of $104/SF!!! Questions about 2004 Warwickshire Drive? 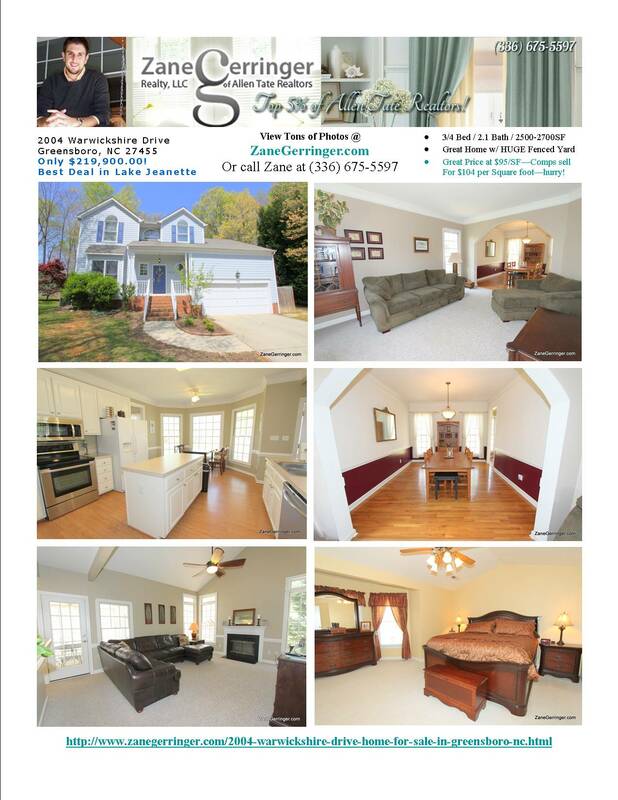 2004 Warwickshire Dr., Greensboro, NC is marketed by Zane Gerringer of Allen Tate Realtors in Greensboro, NC.